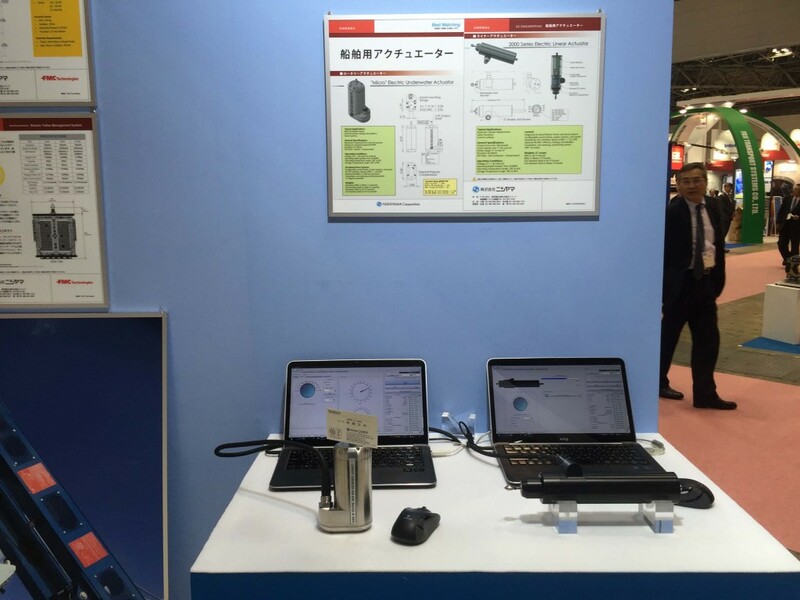 2G Engineering wants to thank Nishiyama Corporation, for their continued belief and support of our product and for exhibiting two of our Subsea Actuators at Sea Japan this past April, 2016. They displayed one of our 2000 Rotary High Torque Actuators as well as one of our 2000 Linear Actuators. There were over 300 attendees to the booth during the course of the show. The 2000 Series datasheet was converted to Japanese for the show. Check out the picture.